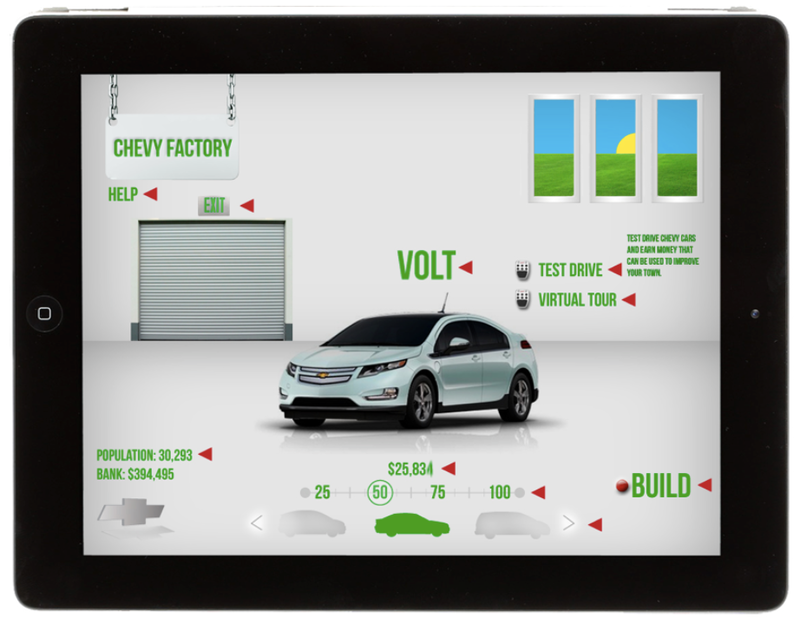 Chevy put millions of dollars into reducing green house gas emissions, exploring new environmentally friendly technologies, and repairing the environment while producing eco-friendly vehicles. 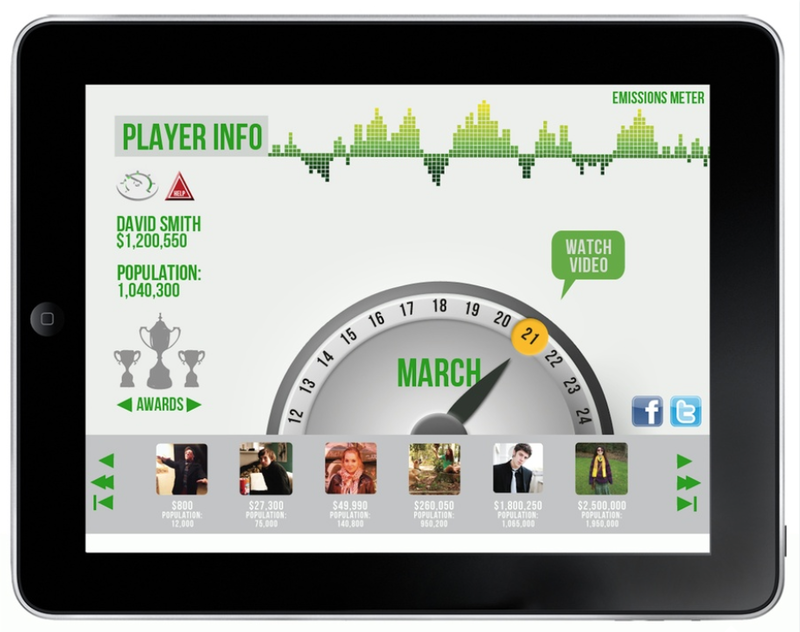 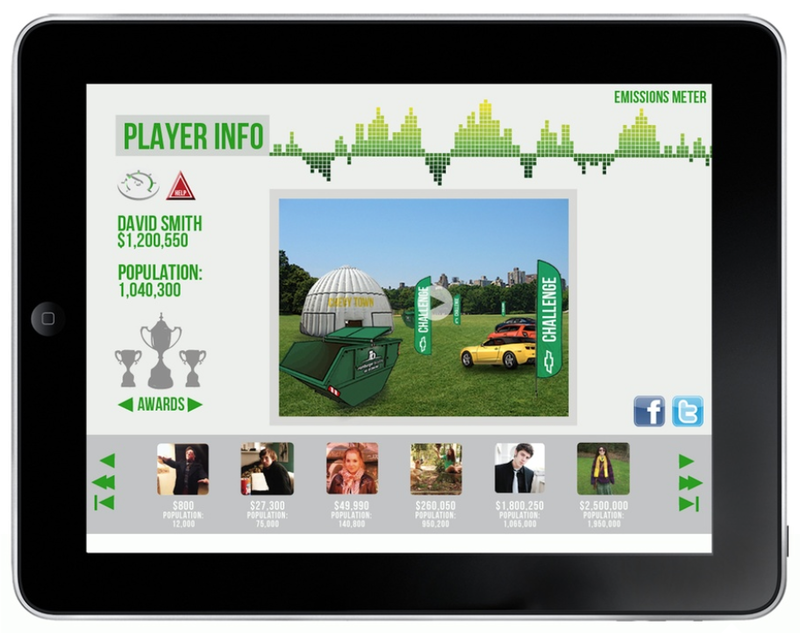 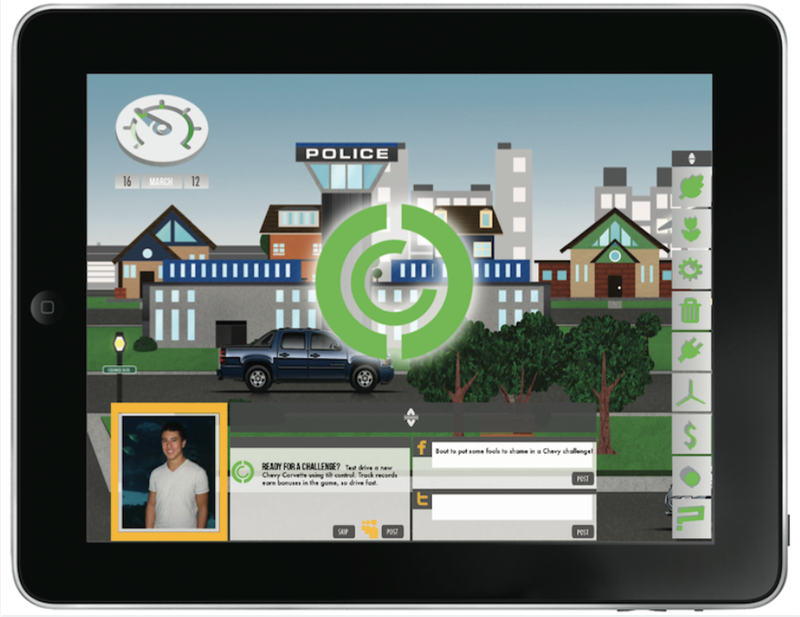 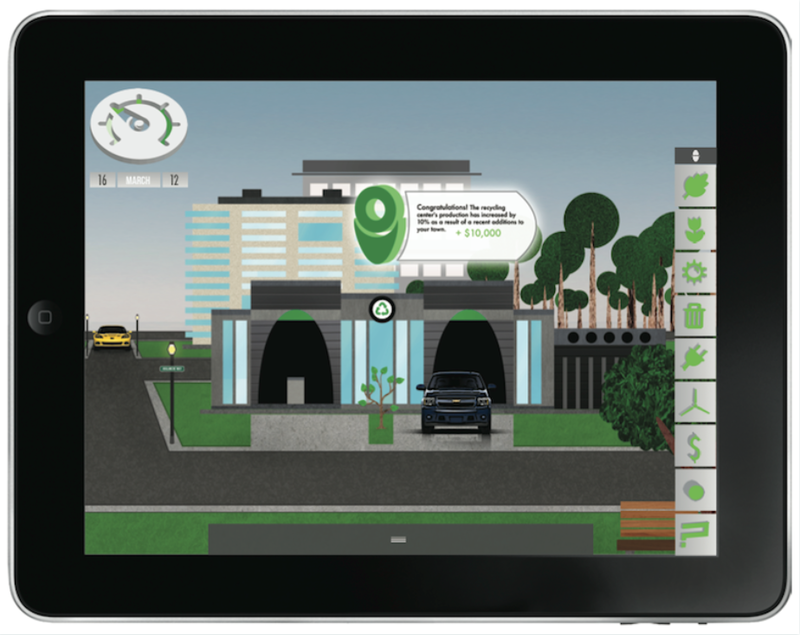 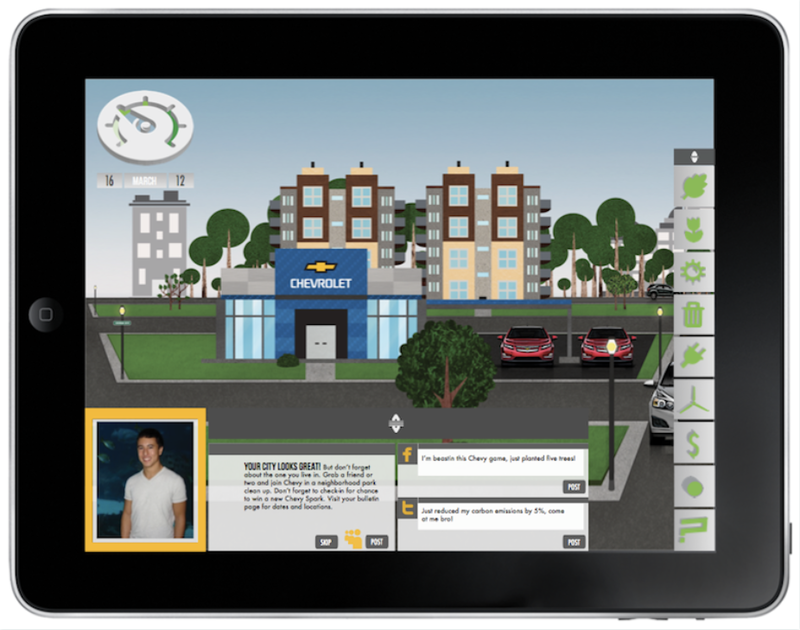 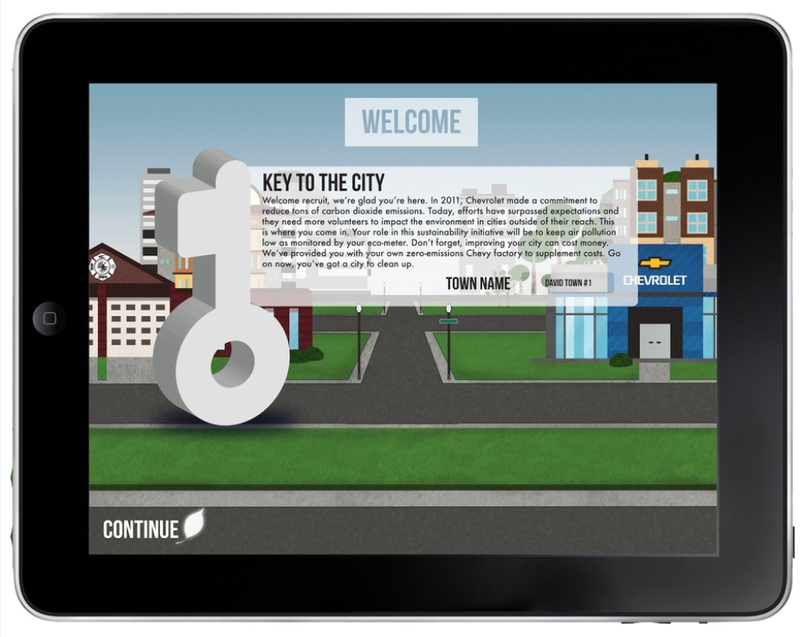 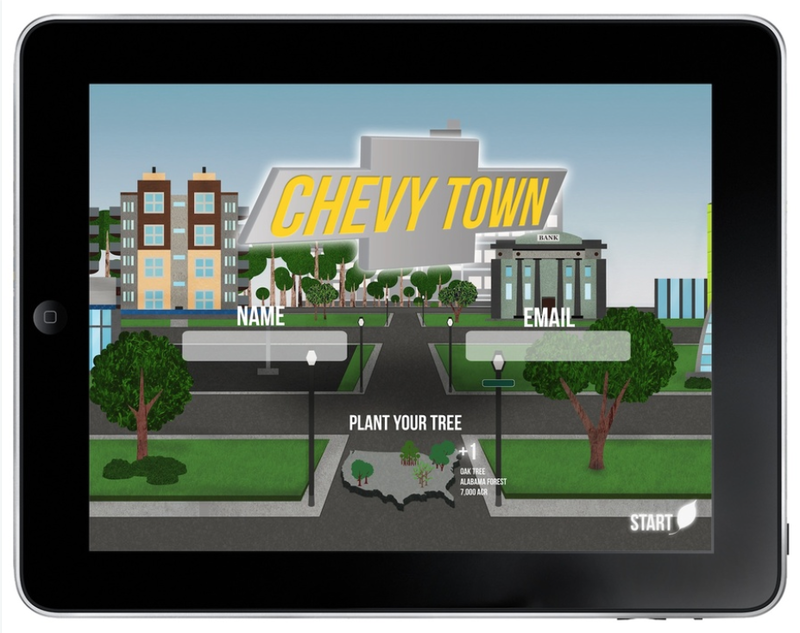 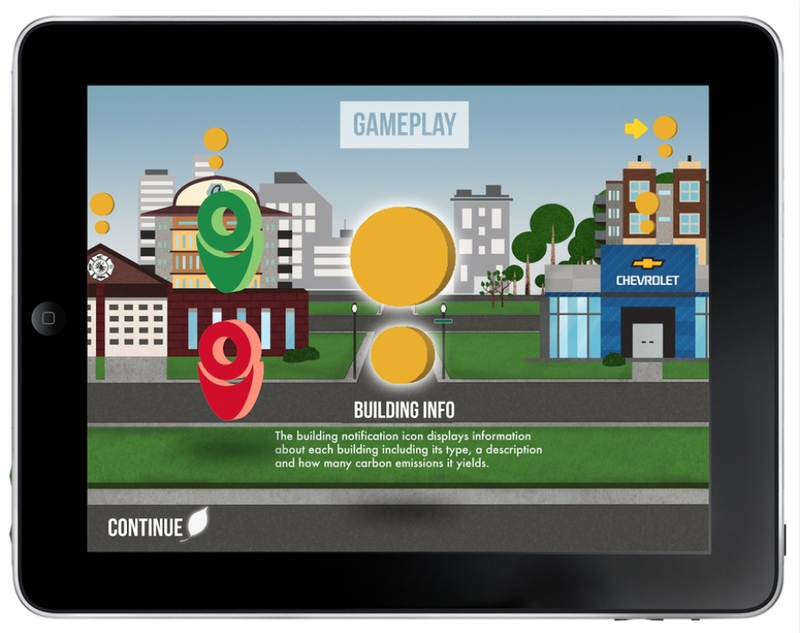 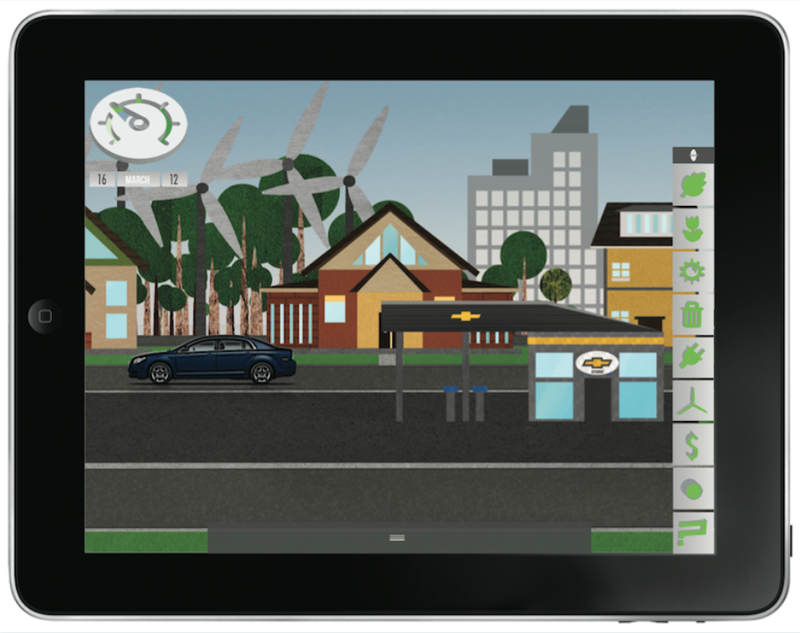 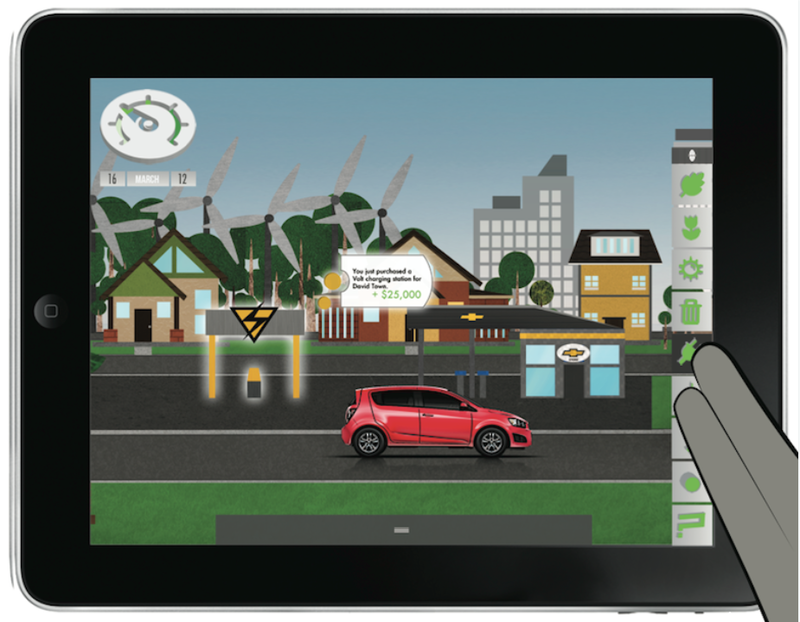 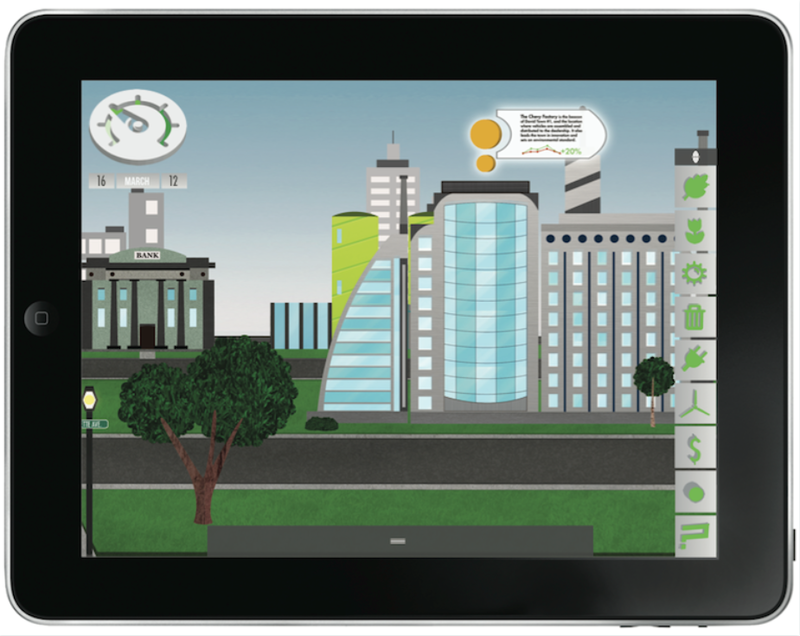 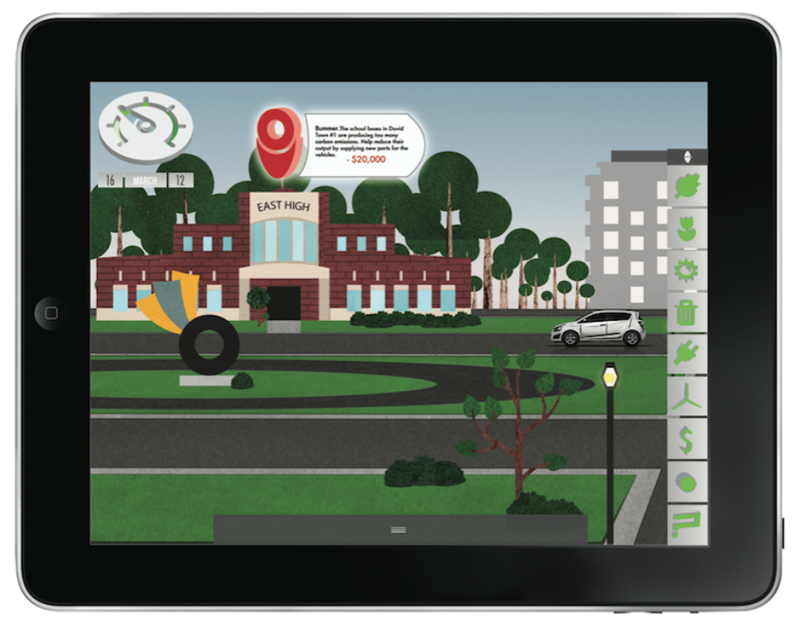 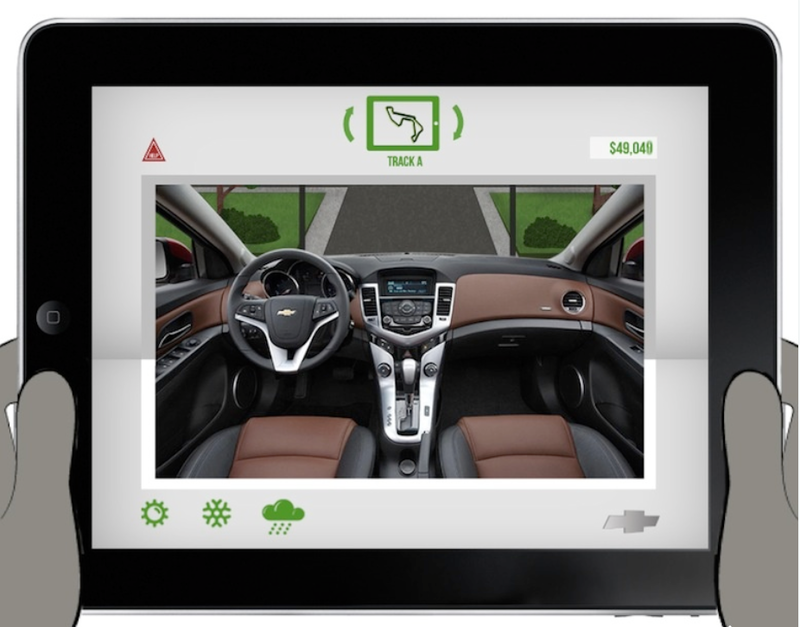 In the iPad game Chevy Town, players experience Chevy's environmental impact first hand. 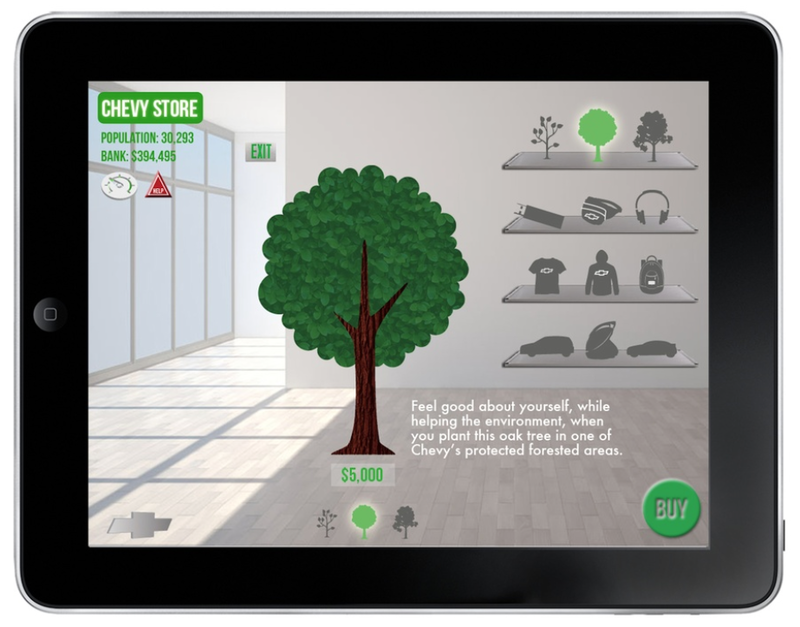 The game challenges players to reduce carbon emissions in their virtual cities and rewards players and the environment by having trees planted in real life.